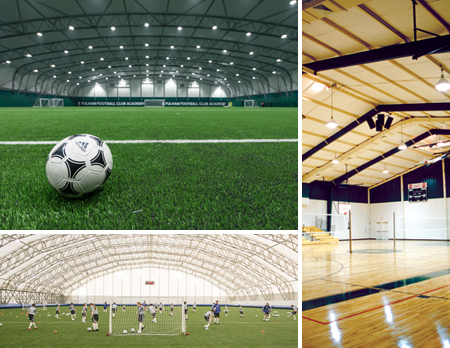 Our down light system is an ideal, cost-effective solution for gyms and smaller arenas that can’t accommodate our SportsCluster® System, offering high-quality lighting, simplified installation, and trouble-free operation. All of your equipment comes from a single source—designed, factory wired, and tested for quality and reliable operation. Our patented glare control technology offers more uniform light distribution and virtually eliminates glare, enhancing the experience for players and spectators. With two levels of energy and light output, you can vary the amount of light based on activity and reduce your energy consumption. Your new system will include fixture layouts and wiring diagrams, making it easy to integrate with your existing electrical system.